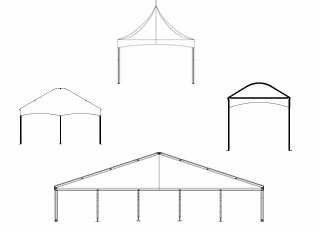 We offer more than 30 years of experience in tent installations, design, distribution and manufacturing. We have participated in innumerable events, from weddings, sporting events, corporate functions and fundraisers to disaster relief and construction projects. We cater to tent rental companies, international productions such as Cirque du Soleil and Cavalia, and sporting events such as the Formula 1 Grand Prix, as well as to private clients. Our expertise in tent-related solutions allows us to offer a wide variety of products and to be able to assist in almost any situation where tents are involved. We are proud members of many esteemed organizations, including IFAI, ARA, CRA, MATRA and others, who address issues such as safety, proper procedures and overall service and product quality in the tent industry. We are proud winners of many international achievement awards for tent manufacturing and rental-related projects.